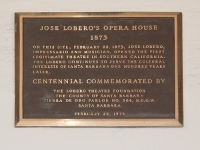 During a visit in August, 2017, an official State of California marker plaque was not found. 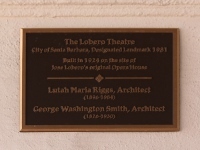 Plaque from the City of Santa Barbara. 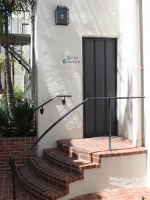 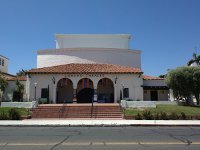 Photo of the artists' entrance showing the architecture style.